First, the mortgage crisis of 2007-2009 created fundamental shifts in lending policy. Next, Tennessee made sweeping changes to its longtime annexation laws and severely hampered cities’ ability to grow geographically (which forced strategies to infill, redevelop and increase the density of housing options). And finally, the millennials – now 24% of America’s population – prefer urban dwelling, mixed-use lifestyle choices, and many are long-term renters. In 2016, Kingsport responded well to these new realities. 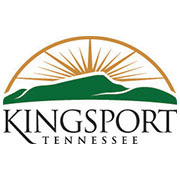 The annual building statistics for 2016 show Kingsport added a diverse portfolio of multi-family and single family housing options. In addition, there is a renewed interest in infill construction, remodeling, and redevelopment. The top five new commercial permits illustrate the diversity of Kingsport’s economy, with investments made in education, healthcare, industry and banking. A total of 88 permits were issued for new single-family dwellings, an increase of 12 permits from 2015, with a total construction value of $22,290,687. Compared to the previous year, the total value for single-family housing starts increased $3,330,046; while the average cost per home increased from $249,482 to $253,303. Over half of the homes permitted had a construction cost between $200,000 and $400,000. Housing is one of the main initiatives for the city of Kingsport. In addition to housing growth, the city has looked to expand housing developments through cost reduction options. Through an investment of $3 million over the next 20 years, over 500 public housing units will be redeveloped and improved. Public housing redevelopment is set to start in 2017 with project completion expected in 3-5 years. The return on investment for the city is over $50 million. To compliment the public housing improvements, three apartment complexes, The Retreat at Meadowview, Overlook at Indian Trail and Riverbend Villas, have construction underway. These complexes have over 500 units combined to accommodate future residents in Kingsport. A new section of the Edinburgh housing development will provide 23 new lots for single and multi-family residents. Construction has started and is expected to be completed in early spring of 2017. City staff continue to work with developers and builders on appropriate incentives for new construction opportunities and to market our existing new home communities. We have a beautiful setting and quality, dependable builders are waiting to make your dream home a reality! Two Kingsport attractions receive state and national recognition Don’t miss the Iron Mountain Band playing at the Renaissance Center!